Home › Articles › Why Should You Make Homemade Face Masks? Why Should You Make Homemade Face Masks? We’re all familiar with the image of the woman at the spa: green clay mask on her face, cucumber slices over her eyes. That may look like the ultimate luxury: a day to be pampered, give your skin a break, and just relax. Well, you may not be able to get the full experience at home, but you can give your skin some extra pampering once in a while without much time or effort. Homemade face masks are easy to make and only require a few ingredients you can find in your kitchen. But why make face masks at home at all? What are they, and what can they do for your skin? A mask is a deeply hydrating and healing treatment that can help resolve skin problems, moisturise the skin, and improve the overall look and feel of the facial skin. 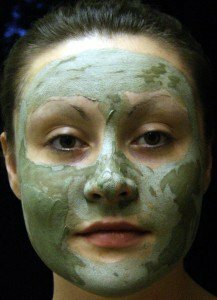 The face mask most people are familiar with is the traditional green clay mask, but there are many other possibilities out there depending on your skin type. Masks are generally thick and creamy, and they’re used by applying the mask mixture to the face and allowing the ingredients to sit for at least 20 minutes. Common ingredients in homemade face masks include green clay, honey, oats, coconut oil, banana, avocado, and even egg! No matter what kind of skin type you have, you can probably benefit from a face mask. Troubled, sensitive skin, acne, dry or oily skin—there’s a mask recipe out there for here. Here are just some of the benefits of using face masks you create at home. Face masks are intensive treatments that work quickly. Even though you only need to apply the mask for 20 minutes, you’ll reap the benefits almost immediately. You should notice smoother, softer skin almost immediately, a kind of instant gratification you don’t get with many skin treatments. If you make your own face masks, you know exactly what’s in them. There are no chemicals, additives, or preservatives to worry about. You control the quality of the ingredients, and can use the best cold-pressed oils, organic produce, and other ingredients to create a mask perfectly tailored to your skin type. Masks at home don’t take much time or knowhow to whip up. All you have to do is mix a few ingredients together and apply. Though they don’t keep well, you don’t have to worry about making them in advance—they don’t take more than 5 minutes to put together, so you can mix them right before you need them. Homemade masks cost far less than commercial formulas, so you can afford to give yourself rejuvenating treatments on a regular basis. If you have troubled or acne-prone skin, face masks could be a good option for soothing red and irritated skin. Ingredients like oats, honey, banana, and coconut oil can help calm skin down and improve overall tone and texture. A mask isn’t just for improving the quality of your skin—it’s also for pampering you and your senses. Masks can be great for relaxation—you can even give yourself a mini spa day at home. Taking some time for yourself is important, and a face mask can be a relaxing part of that. Not sure how to start? We’ve found some of the best face mask recipes out there for improving your skin and delighting your senses. Here are some to try, but don’t forget to experiment with your own recipes to find out what works best! All you need to do is mix all ingredients together and apply to the face, leave on for 20-30 minutes, and rinse. That’s it! Before you start applying your great homemade face mask, remember that there’s a right and wrong way to do everything. Here are some tips for using face masks—the right way. Once you discover the power of making a homemade face mask, you’ll never go back to commercial formulas again!